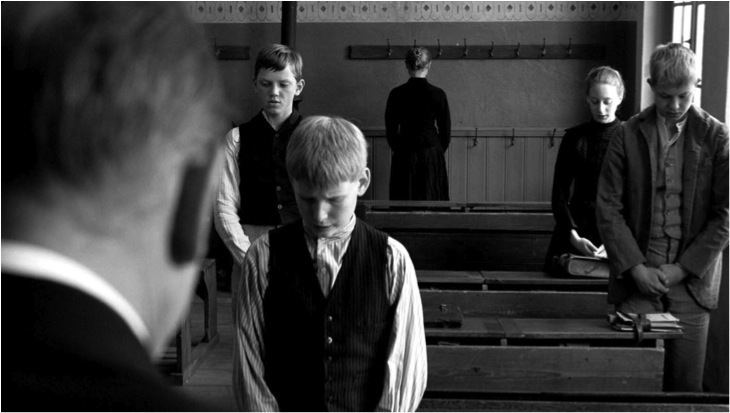 Don't miss Michael Haneke's new film The White Ribbon. I don't normally do reviews or straight recommendations here, but this film is a must. It has the power to restore your faith in film as a medium. Shot in black and white and with almost no music, the film's austerity is a great antidote to the many contemporary films that are overburdened by effects, flashy sets and locations. Its claustrophobic intensity means that the 144 minutes pass with 'ease'. Like any great film, The White Ribbon leaves you with more questions than it answers. Some commentators see it as a study of prototypical National Socialism. But that is too simple. The strict social hierarchies, deep-seated deference to authority and willingness to "turn a blind eye" are all features of the village Haneke depicts. They are also prerequisites for fascism. But they were, in 1913, not exclusive to Germany. They could also describe life for many people in countries such as Britain, France, Sweden, the USA and Australia. And yet these countries did not adopt Fascism in the 1920s and 30s. That said, it is fascinating to watch the film and think that the children who were around the age of ten in 1913 would become members of the generation that were the leaders and decision makers of the Third Reich. The real perpetrators, Hitler's Willing Executioners, to borrow the title of Daniel Goldhagen's book, were on average in their late thirties and early forties during the Third Reich, most having been born around 1905. Haneke's film is a thought provoking study of their collective childhood. It is also very welcome to have a film about a period of European history - the last days before World War I - that has been overshadowed by films about events during and surrounding World War II. In many ways the latter conflict cannot be understood without having familiarity with the earlier war. Haneke's film is a wonderful contribution to establishing that familiarity.